Reta Marie Lintner’s ancestors and family have been trying to prove they are Osage citizens since 1907. 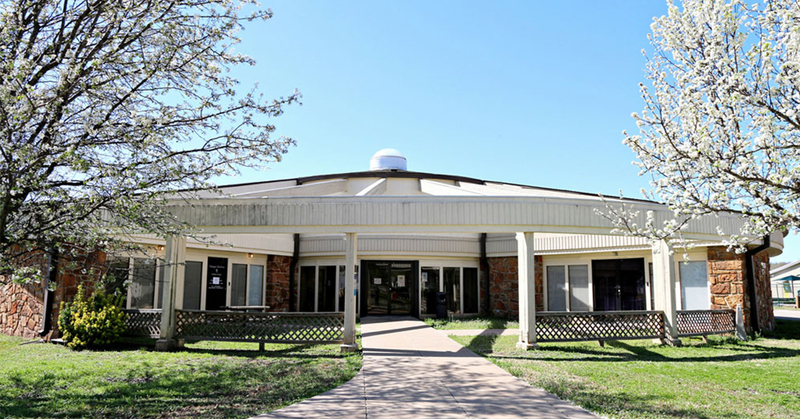 As the three-year-old case unfolds, the details and history surrounding their struggle with Osage membership is being discussed and scrutinized in court. Osage Nation vs. Reta Marie Lintner is making history as the Nation’s first jury trial. Osage law dictates the jury will be made up of six Osage citizens who reside within the boundaries of Osage County. The boundaries of the county are the original boundaries of the Nation’s reservation and are the boundaries of the Osage mineral estate. A pre-trial conference is scheduled for April 17. A date for the jury trial has yet to be set. Lintner, 70, claims she is a lineal descendant of Paschal F. Canville, an Osage original allottee. She claims that Canville, born in 1851, was married to Elizabeth Means and together they had two children, a son named Josiah and a daughter named Lola Clementine Canville Clawson in 1888. Lola married Roy Brown and became Lola Brown, Lintner’s grandmother. Lintner’s legal team, represented by Brad Hilton of the Skiatook-based Hilton Law Office, has provided affidavits affirming the claims. The affidavits are more than 100 years old and one is from Canville himself. Prior to 2006, Means, Brown, Lintner and her family members were unsuccessful at obtaining Osage membership from the Bureau of Indian Affairs, the federal agency who issued Certificate Degrees of Indian Blood, or CDIB cards. The first application was filed by Means in 1907, according to court documents. Additional applications were filed throughout the decades, but it wasn’t until after the new form of Osage government changed the membership requirement from heirship to lineal descent, were they finally successful. Heirship is the legal right to an inheritance of a deceased individual’s estate, such as a headright share of the Osage mineral estate. Heirship and ownership of a headright share used to determine the membership of the Osage Nation prior to 2006. Lineal descent is the proof that an individual is a direct line from an ancestor, such as a child, grandchild, great-grandchild and so on. In 2016 an Osage Membership Office employee discovered discrepancies in Lintner’s file that led them to believe Lintner was not Osage. The ON Attorney General filed petitions for removal against Lintner and 60 other individuals. At a Feb. 6 pre-trial conference, Associate Judge Lee Stout went through Hilton’s eight motions in Limine, which are motions that ask the court for an order or ruling limiting or preventing certain evidence from being presented at trial. Five of the motions in Limine ask to exclude the documentation from federal agencies that denied membership to Lintner’s family. Hilton said he’s sent subpoenas to the BIA for documentation about the applications but has been met with resistance, “they’re not interested in participating.” He also subpoenaed the BIA Area Director for a deposition but did not receive a response. According to Hilton, the BIA is cooperating with the Nation for certain files. Hilton said it wasn’t fair to Lintner that the Nation gets to “cherry pick” which files from the BIA it wants to use in its arguments against her. Another motion in Limine is to exclude Paschal Canville’s probate case and estate from the exhibits. Lintner’s attorneys claim that Lola Brown was not given proper notice to petition her father’s estate. However, according to Patterson, Brown’s death certificate does not list Canville as her father, it lists J.G. Clawson as her father. Patterson said in a 1911 letter from the Indian Agent to the Secretary of Interior he said Lola Brown and her brother Josiah were not Native American. “This has been going on a long time, that this family has been trying to prove they are lineal descendants,” he said. Another motion of Limine is to exclude the fact that Lintner is also a member of the Blackfeet Nation. According to the Nation’s response, they feel this information is relevant for the trial and should be included. If she applied for Blackfeet membership and used J.G. Clawson as her ancestor to obtain that membership, the Nation would show she doesn’t claim descent from Paschal Canville. Patterson asked Judge Stout that if they find the discrepancy could they use it in the trial. Stout said yes. Ricketts has since passed away and Hilton said, “It’s third-hand knowledge, at best.” According to court documents, when Hilton deposed current Membership Office Director Sarah Oberly, she said she spoke with former employee Asa Cunningham who worked with Ricketts at that time. She said Cunningham was vague in her answer. Oberly said another employee was friends with Cunningham and Cunningham told her Red Eagle instructed Ricketts to “make a membership” for a member of Lintner’s family. The judge said it was up to Patterson to decide on whether to subpoena Red Eagle and Cunningham because he was going to label it as hearsay, but he would leave the burden on the Nation to prove the directive came from Red Eagle. 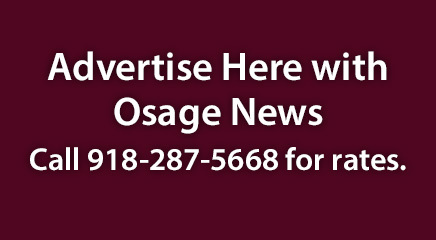 If Lintner is found not to be a legitimate Osage citizen, she and her relatives could be ordered to repay any Osage Nation financial benefits received while enrolled with the tribe. Judge Stout told the attorneys they were going to have to make their cases understandable to a jury because the story was long and complicated and it winds through decades. “This is a very exciting and interesting journey into history,” Stout said.